Company reiterates commitment to vision 2035 of ‘New Kuwait’ with emphasis on Digital Transformation, fuelled by Artificial intelligence. 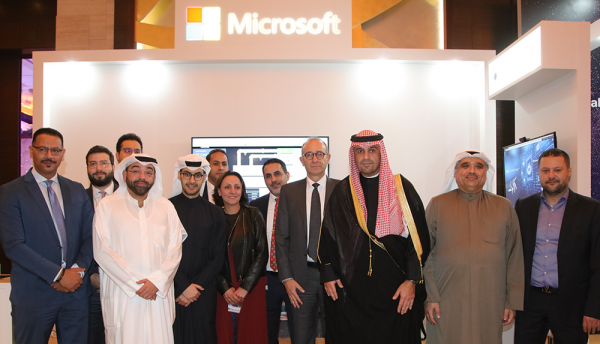 Microsoft has participated as the platinum sponsor at the sixth E-Government Forum taking place at the Al-Baraka Ballroom, Crowne Plaza Hotel, in Kuwait City. 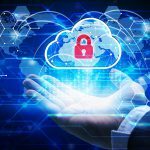 The company demonstrated the power of its cloud and Artificial intelligence (AI) solutions to accelerate the government’s efforts towards e-services and drive Digital Transformation across all sectors in the country. Currently in its sixth year, the E-Government forum (EGOV6) in collaboration with Kuwait’s Central Agency for Information Technology (CAIT), focuses on ‘Managing Change Towards Digitisation’ and places emphasis on the change management practices that need to be implemented in order to boost e-Government programme implementation, and make the best use of all available resources along the way. “Kuwait is undergoing a massive transformation and is seen accelerating towards the digital era,” said Qusai Al-Shatti, Deputy Director General for Information Technology Sector at Kuwait’s Central Agency for Information Technology. “Our objective is to empower the government entities in the country with innovative and state-of-the art technologies to accelerate digitisation and achieve sustained growth. In this process, it is imperative for us to rely on a technology provider who can deliver on these lines and can be relied upon. We are proud to have a partner like Microsoft on our side in this journey to become a truly digital and connected government of Kuwait”. The EGOV6 also features a technology exhibition, where Microsoft experts demonstrated a broad range of AI tools and innovations that can accelerate e-services in the government sector. Delegates visiting the Microsoft stand, gained the opportunity to get hands-on experience of the latest cutting-edge solutions including cognitive computing, Machine Learning and use cases on face recognition, chatbots, emotion detection and object analysis – aimed at enabling better and secure engagement of citizens, empowerment of government employees, optimisation of operations and transformation of public services. 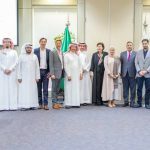 “The Government of Kuwait is ambitiously steering towards achieving the country’s Vision 2035 of ‘New Kuwait’ with a strong focus on Digital Transformation,” said Charles Nahas, General Manager, Microsoft Kuwait. Microsoft speakers also participated at the forum and addressed delegates on the power of AI, cloud, cybersecurity and related technologies. Mohammed Zayed, Senior Cybersecurity Solutions Specialist for Microsoft Kuwait, gave a talk on the ‘Culture Transformation for Identities and Information Protection in a Cloud Era’, and the responsibility that leaders and security officers carry in driving a secure Digital Transformation to protect their organisations from potential cyberattacks. Firas Bou Fakhereddine, Technology solutions Professional for AI and Big Data for Microsoft Kuwait, addressed delegates on the role of AI and how it is accelerating innovation, and bridging the gaps in society for individuals, organisations and governments to achieve more. Microsoft partner, Blackstone also shared the booth with the company and showcased its AI solutions built on the Microsoft Azure Platform. Blackstone showcased the Intelligent Assistant, a chatbot powered by AI that is capable of understanding conversation phrasing and provide human-like conversations to the end-user, enabling government entities to automate customer services and business processes. The company also showcased predictive analytics and facial recognition solutions that can enable government entities to better serve and protect citizens. In line with the showcase, Wajih Yahyaoui, Managing Partner at BlackStone eIT, also delivered a session during the Egov Summit on the ‘Role of AI in transforming Public sector institutions’ to make the most out of these technologies.